Compilation of side stories not included in the main entry. 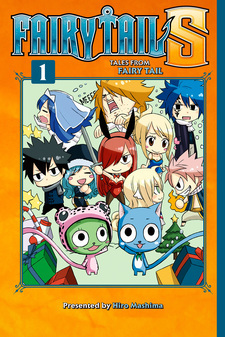 Fairy Tail S has been published in English as Fairy Tail S: Tales from Fairy Tail by Kodansha Comics USA since October 24, 2017. Mod Note: This review was originally posted for "Fairy Tail x Rave", which was subsequently merged into "Fairy Tail S". 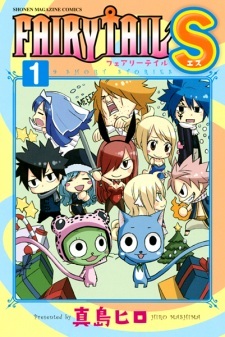 Like Fairy Tail and Rave's main story, Fairy Tail x Rave is exciting, action-based, and lighthearted. Unlike Fairy Tail, which as of now has over 500 chapters and counting, Fairy Tail x Rave is short and sweet and embodies what was good about Fairy Tail in its beginnings: carefree fun. One-shots and mashups like this one don't take themselves seriously the way their parent shonens tend to. If you're a fan of Rave, Fairy Tail, or Hiro Mashima's work in general, this short adventure is well worth your time.